Among the largest marble cities of the world, Stratonikeia ancient city bears antique tombs, the sarcophagus in western Turkey. 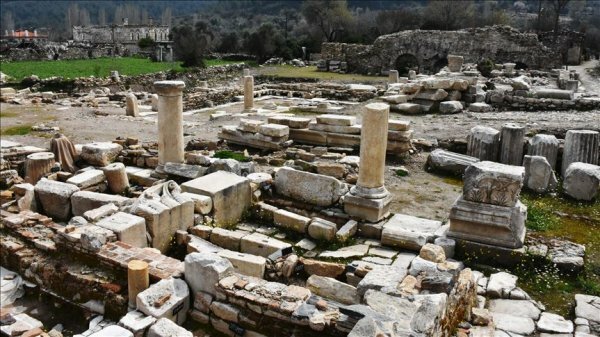 The ongoing excavations in the Stratonikeia ancient city in Yatağan, Muğla reveal new historical artifacts as part of the project launched by Turkey’s Culture and Tourism Ministry on March 1. The project allows excavation works to be carried out incessantly for a 12-month period and supports the ongoing efforts with additional experts and personnel. Also known as the “city of gladiators,” the historical cite was important in the Hellenistic, Roman, Byzantium and Anatolian periods as well as the Ottoman and Turkish Republic eras. 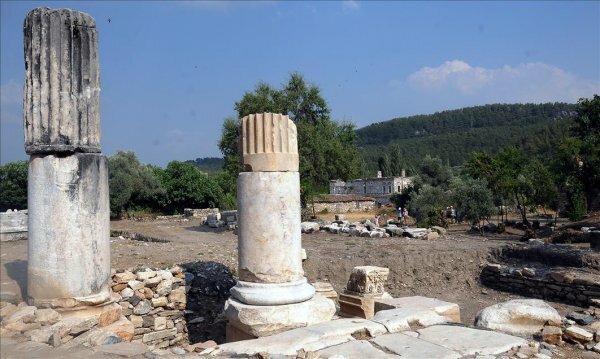 Söğüt said that the excavation team found a wall of a tomb and a sarcophagus belonging to Roman Era and the findings are taken under protection. “We [with Muğla Museum] initiated a work to display the tomb and sarcophagi which can be carried from its place at the entrance of the city by the board decision,” he said, adding that there were samples that could go back to some 4,500 years ago. “We are fulfilling a very important project that will set an example for Muğla,” he said. They have already placed gladiator graves at the entrance of the ancient city, Sogut said, adding that there will be Turkish and English labels describing the pieces. He said that the graves would be classified according to the era they belong to starting from the Bronze Age (circa 3,000 BC), and added that the ones that will be displayed are the ones that cannot be protected in its original place. 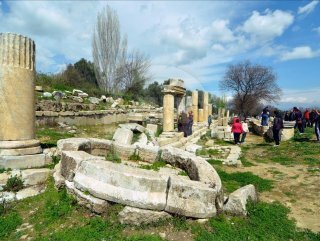 The ancient city of Stratonikeia was included in the UNESCO World Heritage Temporary List in 2015. 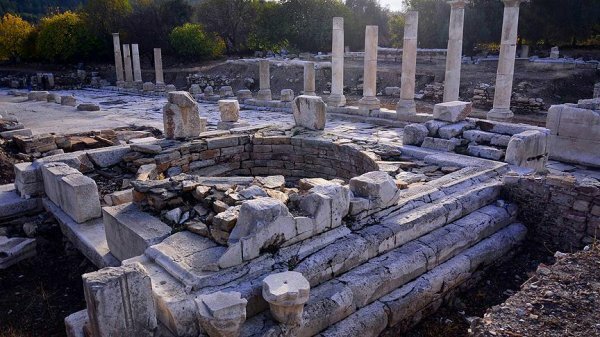 Söğüt said the excavations feed them with new information every year, and the project will pave way for unearthing archeological values and finding important data.